Please read the Update Notices before upgrading to the current version. Note Due to security related fixes in the Client Launcher, it is highly recommended to update MailStore Client manually or via an automated software deployment. New Official Microsoft Windows Server 2019 support. New MailStore Gateway: Free add-on application to replace MailStore Proxy. MailStore Gateway also provides limited mailserver functionality to receive messages from other email servers via SMTP, such as Microsoft Office 365 or Google G Suite. A new archiving profile has been added to the MailStore Client for archiving emails from MailStore Gateway. New Support for Let's Encrypt certificates. MailStore Server supports the admin to initially request and setup Let's Encrypt certificates and will take care of the renewal process every 60 days. Let's Encrypt support has been integrated into the Installer and the MailStore Server Service Configuration Tool. New Installer allows to select an existing certificate, create a self-signed certificate or request a certificate from Let's Encrypt. New On the dashboard and in the Status Reports, MailStore warns the admin about expiring certificates. New The unencrypted HTTP port used by the legacy Web Access and the Outlook Add-in is disabled on all new installations of MailStore Server to increase the overall default security of accessing the archive. On the admin dashboard a warning is shown should the unencrypted HTTP port be enabled. Note This release marks the unencypted HTTP port used by the legacy Web Access and the Outlook Add-in as deprecated, which means that it will be fully removed in a future MailStore version. New The admin dashboard and recent profile results inform about potentially insecure (e.g. unencrypted, Ignore SSL warning set) outbound connections to email servers or directory services. New Safe Mode: MailStore Server can be started from the Service Configuration Tool in Safe Mode to resolve configuration issues without interfering with profiles, jobs, or users. Improved Lightweight redesign of the MailStore Server Service Configuration tool. Improved Outlook Add-in: Secure Connection is enabled by default on new installations due to deprecation of unencrypted HTTP in MailStore Server. Improved Password Policy for MailStore-integrated users is now optional. It is enabled by default. Disabling the password policy not recommend for security reasons, especially when the archive is accessible from the Internet. Improved Automatic execution of database scheme integrity check when attaching or enabling archive stores. Improved Web Client: Detect browser language and switch language automatically. Improved Software prevents MailStore admins from dropping their own admin right. Improved Web Client: Non-generic error message is shown for too complex searches. Fixed Inconsistent status icon in result details of multi mailbox archiving profiles. Fixed Status Reports: All non-failed statuses are reported as successful, which might be incorrect under certain conditions. Fixed Web Access: Wrong date shown if MAPI CST has been set in the message. Fixed Exit code of startup script is missing in Windows eventlog. Fixed Help button in create archive store dialog without function. Fixed Detection of external URLs in HTML sanitizer broken. Fixed Management API: Admins are able to delete themselves. Fixed Searches containing date ranges are failing on advanced archive stores on Microsoft SQL Servers. Fixed Directory Services: Synchronisation with G Suite fails when there are no groups in G Suite. Fixed Client: Expired certificates are trusted if they have been whitelisted previously. Fixed Web Access: Folder cannot be created manually under the root archive level. Fixed Windows Firewall is not automatically configured to grant access to MailStore Management API. Note This version fixes a critical security vulnerability. All customers running an affected version of MailStore Server should update their installations as soon as possible. Fixed Critical security vulnerability in version 9.6 and newer. Fixed Archiving from Microsoft Exchange or Microsoft Office365 may fail under certain circumstances in hybrid environments or migration scenarios. Fixed Very large recovery records lead to continuous auto compacting of recovery record files. Fixed Audit log entries larger than 4096 bytes cannot be read from file system. Fixed Bump copyright to 2019. New Official Microsoft Exchange 2019 support. New Official Microsoft Outlook 2019 support. Improved Extend RecoverStore command by option to also restore deleted emails. Prior to usage consulting tech support is highly recommended. Improved Retention Policies: Stricter validation of policies. Fixed Incomplete exception handling in RecoverStore leads to abortion of recovery process if a corrupt search index file exists. New Password policies defines complexity requirements and minimum length for passwords of MailStore-integrated users. Note The password policy is hard-coded and is applied the first/next time a MailStore password is changed. New Web Access: Changing own password now possible for MailStore-integrated users. Fixed Renamed Alt-N to MDaemon to match current vendor name. Improved Improved performance when upgrading archive stores from version 10 or older. Refer to the update notices for further information about upgrading archive stores. Note Users who already upgraded their archive stores with version 11.0.0 need to manually rebuild all search indexes in order to restore full search capabilities. Note User who currently upgrade their archive stores from version 10 or older to 11.0.1 may cancel this process and upgrade to 11.0.2 to benefit from the performance improvement for remaining upgrade steps. Afterwards, one search index may require a manual rebuild due to the previous cancellation. Improved Searches (incl. Saved Searches) without archive date are now possible on non-upgraded archive stores. Note Version has been replaced by 11.0.2. New Retention Policies: By creating a set of retention policies, administrators gain full control over how long different type of messages are retained in the archive and whether messages are to be removed automatically at the end of the retention period. For each message, administrators may check how current retention settings affect that message. Note An existing global retention period from a previous version is migrated to a corresponding retention policy. In addition, a new job is created to process retention policies daily at 3:30am. New Management API: Added GetRetentionPolicies and SetRetentionPolicies methods. Removed "globalRetentionTimeYears" parameter from GetComplianceConfiguration and SetComplianceConfiguration. New Under certain conditions a warning is shown on the dashboard and in status reports, reminding the admin of backing up the archive regularly. The warning is triggered by a lack of events (e.g. VSS, service restarts, etc.) that would be caused by internal or external backup tools. New Automatic Update of Web Access: MailStore Server admins may opt-in to worry-free automatic updates to ensure that latest security updates are installed as soon as possible. New Jobs: New template for processing retention policies. Improved Web Access: Search criteria are now fully integrated into the sidebar in desktop view. Improved Web Access: Setting for language independent date formats added. Improved Search: Messages can now be searched by their archive date. Improved Recovery records are now stored in separate container files, contain all meta data of the messages and are updated in real-time. Improved Archive store recovery based on the new recovery records allows a rebuild of corrupt archive store databases without the need to export and re-archive messages. The new RecoverStore Management API command provides access to this function. Improved Further hardening of encryption key file management to work around potential file system corruption. Improved Integrated IMAP-Server: Disallow authentication through insecure connections. Improved Added TLS 1.1 and TLS 1.2 support to outgoing connections when accessing email servers. Improved Added TLS 1.1 and TLS 1.2 support to outgoing connections when accessing PostgreSQL database servers. Improved Proxy: Added TLS 1.1 and TLS 1.2 support to in- and outbound connections. Improved Client: Added TLS 1.1 and TLS 1.2 support to outgoing connections when accessing MailStore Server. Note It is highly recommended to update MailStore Client manually or via an automated software deployment to already ensure TLS 1.1 and TLS 1.2 compatibility during the initial connection to MailStore Server. This is mandatory if TLS 1.0 is disabled on the MailStore Server system, e.g. for PCI compliance. Improved Web Access version now visible on dashboard and in status reports. Improved Localization: Description of audit events. Improved Telemetry data extended by hardware specs (CPU, memory, disk) and retention policy configuration. Fixed Client launcher may be used to execute arbitrary applications, if files are put in specific directories on the client computer. Note It is highly recommended to update MailStore Client manually or via an automated software deployment to resolve this security issue. After the update, MailStore Client will no longer be able to connect to older MailStore Server installations. Fixed Selecting catchall folder throws an error under certain circumstances. Fixed Missing window title in Terminal Progress Dialog. Fixed Incorrect help page requested on job page. Fixed Output of VerifyStore and VerifyStores command does not contain hints about corrupt container files. Fixed Path to archive store is missing in Windows event log when attaching a store. Fixed Wrong error message if Outlook Click-To-Run detection fails. Fixed Wrong text in "attach existing archive store" dialog. Fixed Outlook Add-in: Open and Restore buttons sometimes remain disabled unexpectedly. Fixed Web Access: Welcome page in mobile view does not jump to search when touching search entry box on iPhone. Fixed Web Access: Login not possible after server service restart under certain circumstances. Fixed Web Access: Incorrect design of radio buttons. Fixed Web Access: Toolbar buttons are not shown for messages when certain header fields are missing. Fixed Updated third party libraries to fix several minor issues in archiving, displaying and exporting of emails. Improved Web Access: The new Web Access is now available in all 17 languages. Fixed Web Access: Authentication not possible when MailStore Server listens on one IP address of a network interface only. Fixed Web Access: Under certain conditions, the login page is locked after a logout (i.e. session expired). Fixed Web Access: Issues with "Save password" functionality of some web browsers. Fixed Synchronizing users from "Office 365 operated by 21Vianet (China)" fails. Fixed Displaying issues when changing the default password while using large values for scaling fonts (High DPI). Fixed No folders are recognized when archiving from IMAP servers that do not announce SPECIAL-USE capability but XLIST instead, and respond to XLIST requests with a LIST response (i.e. Dovecot with configured Outlook workaround). Fixed Web Access: Downloading attachments containing special characters in file name fails. Fixed Web Access: Too complex search queries do not cause an error message. Fixed Web Access: Displayed name of saved search is not updated when saved under a new name. Fixed Web Access: Additional cross shown in search field when using Internet Explorer. Fixed Web Access: Internet Explorer uses compatibility mode for when URL is evaluated as an intranet site. Fixed Web Access: Opening or downloading large emails or attachments is slow or fails. New Responsive Web Access allows accessing the archive from any device, irrespective of operating system and display size. Additionally, it provides more functionality than the legacy web access, such as deleting or moving messages. New Digitally sign emails exported to the file system to ensure authenticity outside of the archive. New Management API: Method to manage SMTP settings added. Improved Update notifications now contain a HTML representation and provide additional information about the installation and license status. Improved SMTP Settings: Default port changed to 587 and STARTTLS selected by default. Improved Audit Log: Use of Lock Smith is now recorded. Improved Hardening of encryption key management. Improved More details about skipped messages are shown in the profile summary. Fixed User list in Audit Log not sorted alphabetically. Fixed HighDPI issue in service configuration tool. Fixed HighDPI issue In Auto-Create Archive Store dialog. Fixed Attaching a MailStore Server 5 or older archive store to a master database that has been upgraded to MailStore Server 10.x fails. Fixed "Test" button in Exchange profiles does not heed status of "Ignore SSL warnings" checkbox when autodiscovery mechanism is used. Fixed Update of third party library, which fixes several minor issues in archiving, displaying and exporting of emails. New Support for the latest Microsoft Office 365 update (Exchange Server 15.20). Fixed Synchronizing users from Office 365 Germany fails. Fixed Authorization against Active Directory may fail under certain circumstances, if archive was initially created with MailStore Server 5 or older. New Status Reports: MailStore administrators can regularly receive status reports by creating a corresponding job in MailStore. These reports contain relevant information from all areas, like successful or failed profile and job executions, licensing information, and much more. New Autodetect "Sent Items" folder in IMAP mailboxes. New Depending on the auditing configuration, administrators and/or users are asked to provide a reason when deleting an email. The given reason is written to the audit log along with the event itself. New Compliance: Additional protection from accidentally blocking or unblocking the archive access by confirming the change with entering the password. New Compliance: Administrators are asked to provide a reason when blocking or unblocking the archive access for admins. The given reason is written to the audit log along with the event itself. New "Search here..." item in folder context menu allows to quickly start an advanced search on selected folder. Improved Support for multiple IMAP sent item folders. Improved Search: Allow searching different strings in different parts of the email and add keywords for searching only in body or attachments. Major rework of search documentation. Improved Add search modifiers "Older/Newer than (range)", "Older/Newer than (date)", "Not Older/Not Newer than (range)", and "Not Older/Not Newer than (date)" in advanced search. Improved Removed default search index restriction of 10000 tokens (words) per object. Improved Increase default keep duration of profile and job results to 90 days for new installations. Improved The function "Test sync" of the directory service configuration now also allows to test authentication of users from the result list. Improved Integrated backup and VSS settings allow to exclude search indexes from backup to increase efficiency of remote backups or to protect unencrypted data to reside on other systems. Improved Select IMAP-TLS or POP3-TLS as default in new profiles. Improved Archive page now shows the total number of emails and size in megabyte. Improved No archiving of emails if not all attached archive stores are available (State: Archive here, Normal, Write-Protected). This prevents the creation of duplicates under certain scenarios. Improved Replacement of "Google Apps" by "G Suite"
Improved Support Google G Suites' new JSON based exchange format. Improved Workaround for handling emails with incorrect character encoding identifier (e.g. utf8, cp1252, or CP-850). Improved Removed license information from normal user's dashboard. Improved Further improvement of protecting user passwords inside and outside of the application, for instance by using the Windows Credential Store. Improved Changed hash algorithms of self signed certificates to SHA256. Improved Installation path of new installations now contains "MailStore" instead of the companies former name "deepinvent". Improved Naming of status on "Auditing" page to make scope clearer. Fixed Upgrading from version 9 or older fails if an archive store cannot be opened. Fixed Outlook Add-in: Under certain circumstances the add-in buttons are disabled when working with multiple Outlook windows. Fixed Inconsistent error level when profiles are cancelled. Fixed IMAP Server: Incompatibility with Pine/Alpine email client due to sending incorrect continuation request. Fixed IMAP Server: PLAIN authentication capability offered even after successful login. Fixed Debug log contains misleading UID information when archiving IMAP mailboxes. Fixed MIME preamble is never shown nor exported. Fixed Incorrect label "E-mail Preview by Admin" on dashboard. Fixed Product Key/Generated Passphrase must be entered in correct casing when unlocking archive stores. Fixed CRAM-MD5 authentication is visible in debug log. Note This version fixes two critical security vulnerabilities in Web Access. 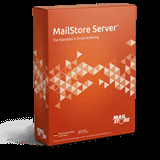 All customers running an affected version of MailStore Server should update their installations as soon as possible. Fixed Web Access: Reflected Cross-Site-Scripting (XSS) vulnerability in search function, allowing an attacker to gain access to the archive if the victim clicks on a specially-crafted link while being logged in to Web Access. Affected versions: 9.2 and newer. Fixed Web Access: Open Redirect in Dereferrer. This allows an attacker to create specially-crafted links, which would redirect the victim to a malicious website, although the link itself seems to point to a trusted resource. Affected versions: 9.0 and newer. New Full encryption of databases and audit logs. In addition to the existing encryption of the email contents and sensitive data inside the databases, all databases and the internal audit log are also fully encrypted as of this version. This requires an upgrade of all archive stores. Please read the update notices carefully to learn more about the upgrade process and the consequences of the stronger encryption. New Rotation of encryption keys. New E-Mail notifications for available software updates. New Optionally allow MailStore to send anonymized usage statistics, so that we understand even better how the software is used. The raw data to be transferred can be reviewed at any time. New All admin activities except MessageRetrieveContent will be recorded in the audit log. New Dashboard notification if SMTP settings have not yet been configured. New Windows performance counter for monitoring the Firebird database connection pool. Improved Internal Archive Stores, formerly known as "Standard Archive Stores”, now support different locations for databases, indexes and the email contents. This is also fully supported by the auto-create store feature, as well as by the internal backup function. "Advanced Archive Stores” of type "File-based” are automatically converted to "Internal Archive Stores”. Improved The limitations of MailStore administrators have been extended and are enabled by default for newly created archives. MailStore administrators will not be able to browse, search, or export email of other MailStore users as long as the compliance setting "Archive Access”, formerly known as "E-mail Preview”, is set to "Block Access”. Improved The default admin password "admin” requires a password change on the first login via the client. Please note that the default password "admin” still can only be used when logging in from the same machine. Improved Relative paths are now used internally to store the location of archive stores. This makes relocating the whole archive to a new location much easier. Improved Synchronization of Microsoft Office 365 users that have no Exchange Online license assigned. Improved Delete key triggers delete function when one or more emails are selected in the email list. Improved Web Access/Outlook Add-in: Redirect HTTP requests to HTTPS. Improved Show a warning when a folder is renamed and a folder with the new name already exists. Improved Automatically delete the mailbox cache file "MailboxCache.fdb" if it could not be loaded successfully. Improved License installation is now part of the setup process. Improved License file is stored encrypted on disk. Fixed Hyperlinks in dialogs are now clickable. Fixed Incorrect encoding of passwords used when logging into remote IMAP server. Fixed Export via IMAP to Tobit’s David Server fails when server sends EXPUNGE in response to APPEND command. Fixed RTF attachments are spuriously used as email body when email is exported to MSG file. Fixed Clicking "Help" on the login screens results in displaying an error message. Fixed Embedded browser controls are no longer supported by Google's consent dialog. As recommended by Google, the user’s default web browser is now used to open the consent dialog. Fixed "Type your name here" appears in client dashboard if full name of user is empty. Fixed Service Configuration: Spuriously translated command line example on Startup Script page in Dutch translation. Fixed Major update of third party library, which fixes several minor issues in archiving, displaying and exporting of emails. Changed "Advanced Archive Stores” have been renamed to "External Archive Stores”. Changed The page "Storage > Statistics” in "Administrative Tools” has been relocated to "Users and Archives > Archives”. Additionally, it now supports the management (rename, delete, ..) of user archives. Changed Compliance option "E-mail Preview” has been renamed to "Archive Access”. Fixed Google Apps multi mailbox archiving profile ignores delete condition. Fixed Login as normal user not possible. Improved Profile runs are now marked with "Has ended with warning" in "Recent Results" in case warnings were thrown internally. Until now, these warnings were only visible in the details and profile run was markes as "Successful". Improved Job Scheduler: Added column "Last Execution Result". Fixed Client: Slow rendering of search result list when searching for a recipient, if a matching email contains a large number of recipients in the emails "To" field. Fixed Client: Large number of email recipients may cause an overlap of the message content, which prevents the user from accessing the email body. Fixed IMAP Server: Several bug fixes that improve the compatibility with IMAP clients. Fixed Service Configuration Tool: Unexpected Exception and inaccessible "IP Addresses and Ports" section if configured certificate is no longer available in the Windows certificate store. Fixed Archiving process stops and a System.UnauthorizedAccessException is thrown when archiving from a file system which contains inaccessible folders (i.e. inappropriate permissions). Fixed Invalid CSS in a HTML email causes an error message and prevents the email from being displayed. Fixed Thousand seperator missing when displaying the number of archived emails in dashboard banner. New New Gmail archiving profile with OAuth support and the option to automatically remove messages from the mailbox. Please refer to the update Notices for further details if you are using the Google Mail archiving profile. Improved Simplified configuration for indexing email attachment content of supported file types. Additionally, a message on the dashboard notifies the admin about a missing configuration of indexing. Improved Check for supported Adobe PDF iFilter versions added. Improved Client: Minor UI refresh of the dashboard. Fixed When synchronizing users with Google Apps, invalid MailStore users are created if the primary email address of the user contains uppercase letters. Fixed Syncronizing users with Google Apps is limited to 200 users per group. Fixed Under certain circumstances BCC recipients are shown to non-admin users by mistake. New Client: Pin to taskbar now possible on Windows 7 and newer. New Server: New API method GetServiceConfiguration to retrieve MailStore Server's service configuration. New MailStore Proxy: Support for Delivery Status Notifications (DSN) added. Improved Support for different SSL certificate thumbprint formats in group policies. Improved Group policies allow configuration of client und Outlook Add-in language. Fixed Email headers are missing when printing from Web Access or Client. Fixed Incorrect number of deleted emails in summary when trying to delete emails from read-only IMAP folders. Fixed Server stops responding under certain circumstances when multiple simultaneous request are send to a LDAP based directory service. Fixed Computer Name and User Agent are not shown in Active Sessions when accessing the archive via Outlook Add-in. Fixed Mobile Web Access: jQuery and jQuery mobile updated to latest version to protect against potential security vulnerabilities. New Official Microsoft Exchange 2016 support. Improved Improved Exchange Autodiscover support. Improved Client: Executing a saved search now applies search result highlighting analog to a regular search. Fixed Web Access, Outlook Add-In: Attachments having a name beginning with # cannot be opened in the webclient. Fixed MailStore skips folders when archiving from Mozilla Thunderbird, if Thunderbird's profile path contains special characters. Fixed Search does not use regional settings of the system to determine first day of week. Fixed Various minor bug fixes. Fixed Web Access, Outlook Add-in: Search for custom date range returns incorrect search result. Fixed Incorrect CSS handling when displaying HTML messages under certain circumstances. New Official Outlook 2016 support. Fixed Installer does not recognize non-default installation path during upgrade, which may result in the creation of a new archive in the default location. The existing archive remains unmodified. Fixed Client: Copying table content to clipboard may duplicate columns or include hidden columns. Fixed MailStore Server may choose wrong SSL certificate on start when using self-signed certificate. New Official Windows 10 support. Improved Directory Services Integration: Improved performance when creating the list of groups if a larger number of groups exists in the directory service. Improved Server, Client and IMAP server: Removed support for insecure SSLv2 and SSLv3. Added support for TLS 1.1 and TLS 1.2. Improved X-Final-To header is now recognized when archiving IMAP multidrop mailboxes. In particular this enhances archiving of such mailboxes from a Kerio Connect mail server. Improved Improved performance when retrieving groups from Microsoft Office 365. Fixed Synchronizing users from a Microsoft Office 365 environment with more than 100 users fails. Fixed Web Access, Outlook Add-in: Compatibility issues with Internet Explorer 8. Fixed Compatibility issues with .NET Framework 4.6. New A new job scheduler makes it easy to run maintenance tasks such as backup, data integrity check and index rebuild on a regular basis. The scheduler, which is completely integrated into MailStore Server, is able to run any Management API command. New The Microsoft Office 365 directory services can now be used by MailStore for user synchronization and authentication. Improved Web Access and the add-in for Microsoft Outlook now come with a completely rewritten message list view which makes it possible to scroll through large folder contents and search results with minimum latency. Improved MailStore Server now supports the 64-bit version of MDaemon Messaging Server. Fixed The information displayed in reports of multi-mailbox archiving profiles is misleading under certain circumstances. Fixed Web Access, Outlook Add-in: Saved searches cannot be opened or deleted, depending on characters used in their names and the browser used. Fixed Some executable files are not marked as DPI aware, causing the user interface to look blurry depending on Windows version and DPI settings. Fixed Accessing Microsoft Outlook without access to the mailbox root folder causes an access violation. Fixed An advanced archive store cannot be created on a SQL Server with a Turkish server collation. Please note that even with this bug fix, the collation of the database used for MailStore still cannot be Turkish. Fixed Some windows in MailStore Client are displayed incorrectly when Windows has a DPI setting other than 96 dpi (100%) and/or windows are resized. Fixed Certain Outlook messages cannot be processed by MailStore. The error "Argument is out of range of valid values.” is displayed. Fixed Google Apps directory services synchronization may hang under certain circumstances if a large number of users or groups exists. Fixed Indexing message bodies and attachments in HTML format is performed incorrectly under certain circumstances, causing the results of full text searches to be incomplete. Rebuild search indexes if you encounter this error. Fixed File system archiving profiles cannot be created with drag and drop from Windows Explorer, as stated in the documentation. Fixed Some multi-select enabled tables in MailStore Client react very slowly if a large number of items is selected. Fixed Some multi-select enabled tables in MailStore Client don’t accept the Ctrl+A hotkey for selecting all items. New First class support for Google Apps (includes user database synchronization, authentication, multi-mailbox archiving using a central service account, multidrop archiving and export). Improved Internal archive store directory traversal is now reduced to a minimum, significantly improving performance especially when using larger archives and/or storing them on network storage. Fixed MailStore's integrated e-mail preview is now able to detect and repair invalid CSS to a certain extent. New Support for the latest Microsoft Office 365 update (Exchange Server 15.1). Fixed An error occurs when trying to run an MDaemon multi-mailbox archiving profile created with an old MailStore Server version. Fixed Archiving and Export: If a profile is run via a scheduled task or the API, the memory and/or disk space used for reports and debug logs is not released until the server process is stopped or restarted. Fixed Archiving and Export: User interface text might be displayed in the wrong language under certain circumstances. Fixed Archiving and Export: The CRAM-MD5 authentication mechanism does not work when accessing mailboxes with the IMAP protocol. Fixed Archiving: MailStore is unable to archive Microsoft Exchange folders containing tabulator characters in their names. Fixed Client, Web Access, Outlook Add-in: Messages in HTML format might be displayed incorrectly under certain circumstances. Fixed Web Access: Windows authentication is not offered when using Internet Explorer 11. Fixed Server: Under certain circumstances, folder names are disclosed to users without the appropriate privileges. Fixed Server: A timeout might occur when trying to upgrade a large number of archive stores created by old versions of MailStore Server. Improved Server: Reduced disk I/O when accessing Firebird Embedded-based database files. Improved Various minor user interface improvements and bug fixes. Fixed Client: In 120 dpi mode, some controls do not scale correctly (message list, date ranges, folder include/exclude dialog, progress dialogs). Fixed Client: Non-invokable commands are offered to users who have only limited archiving or export privileges (execute only or manage only). Users are getting an access denied error message only after trying to invoke those commands though. Fixed Client: The page "Recent Results" is not visible to users who can only manage archiving and/or export profiles. Fixed Directory Services Integration: Due to a bug in Windows' ADSI connection pool, Active Directory authentication sometimes fails when transport layer security (LDAP-SSL) is used. This version works around this bug by performing the authentication via separate LDAP connections when LDAP-SSL is configured. Fixed Integrated Backup: The Restore.bat script generated by the integrated backup function omits empty folders. Fixed Management API: The virtual time zones $UTC (Coordinated Universal Time) and $Local (Server Local Time) are not available in the GetTimeZones and GetWorkerResults API methods. Fixed If a CD/DVD export profile was created with MailStore Server 6.x or lower and this was not removed when upgrading to MailStore Server 7.0 or higher, an error message is shown when trying to open the "Export E-mail" page. Improved New management shell commands to enable or disable a live debug log on the client or on the server (livelog-client-enable, livelog-client-disable, livelog-server-enable, livelog-server-disable). These commands replace the debug-console command available in earlier versions of MailStore Client. Use DebugView from Windows Sysinternals to view the live debug log. Fixed Due to a bug in some versions of Microsoft Exchange, archiving folders may fail with error messages such as 'The Delete change relates to an unknown item' or 'The ReadFlagChange change relates to an unknown item'. This version uses a different sync method that doesn't rely on the buggy SyncFolderItems operation. Note MailStore Server now requires Windows Vista SP2, Windows 7 SP1, Windows 8, Windows 8.1, Windows Server 2008 SP2, Windows Server 2008 R2 SP1, Windows Server 2012 or Windows Server 2012 R2. Note MailStore Client now requires Windows Vista SP2, Windows 7 SP1, Windows 8 or Windows 8.1. Note The add-in for Microsoft Outlook now requires Windows Vista SP2, Windows 7 SP1, Windows 8 or Windows 8.1. Users still running Windows XP can however use the latest 8.x version of the add-in to connect to MailStore Server 9. New Client: Now compatible with all past and future MailStore Server releases with the same major version. New Client: Group Policies now allow better control. Please refer to the Release Notes for details. New Client: Entirely rewritten Message List (used for both folder contents and search results) now behaves more like the one built into Microsoft Outlook, is much faster and can easily display hundereds of thousands of messages. In order to simplify the selection of multiple messages, the last selected message is now opened in message preview. New Client: Entirely rewritten Message Preview improves display of a large number of recipients and attachments. New Web Access: HTML E-mail Viewer based on a secure whitelist-based HTML rewriter. Improved Web Access: The attachment list now shows icons for the most common file types. Improved Web Access: The message list now automatically loads new entries when the user has scrolled to its end. New Add-in for Microsoft Outlook: HTML E-mail Viewer based on a secure whitelist-based HTML rewriter. Improved Add-in for Microsoft Outlook: The attachment list now shows icons for the most common file types. Improved Add-in for Microsoft Outlook: The message list now automatically loads new entries when the user has scrolled to its end. New Server: Entirely rewritten internal lock manager significantly reduces congestions and leads to a much better overall behaviour of the system. New Archiving and Export: Profiles in the "E-mail Servers" section are now run by a completely new MailStore-internal scheduler within the MailStore Server process. Previously, they were run by MailStore Client invoked by the Windows Task Scheduler. Improved Archiving and Export: Profile manager now displays a summary of the profile settings next to the profile list. Improved Archiving and Export: Profile manager now shows the execution state of all profiles, regardless of the computer they are running on. Improved Archiving and Export: Profile manager is now able to display the details of previously run profiles. Writing task log files is no longer necessary. Changed Archiving and Export: Support for AVM KEN! has been removed. Improved Archiving: The performance when archiving Microsoft Exchange 2007 or higher EWS-based mailboxes with a high number of already archived messages has been significantly improved thanks to a new Firebird-based MAPI property cache with an also new folder contents sync module. Improved Archiving: The performance when archiving IMAP-based mailboxes with a high number of already archived messages has been significantly improved thanks to a new Firebird-based property cache with an also new folder contents sync module. Improved Archiving: The performance when archiving e-mail servers, e-mails clients and e-mails files with a high number of already archived messages has been significantly improved thanks to the implementation of a new store-hinting algorithm. Improved Archiving: E-mails which are selected for deletion are now immediately deleted from the e-mail source. Previously, they were deleted in batch after the entire folder contents has been processed. New Compliance: Audit events can now be written to flat files within the archive's directory instead of the Windows Event Log. New Compliance: Easy to use viewer for flat file-based audit logs. New Directory Services Integration: With the new Application Integration Directory Service option, it is possible to integrate the MailStore user database with any external user database. Please refer to the manual for details. Improved Directory Services Integration: SSL can now be used for connections to Active Directory, provided that the server certificate is trusted by the MailStore Server machine. Improved Directory Services Integration: For the synchronization with Active Directory, a naming scheme for MailStore users can now be specified. Options: SAM Account Name, User Principal Name, User Principal Name (Local Part Only). Improved Directory Services Integration: For the LDAP Generic synchronization, MailStore now provides an option to only use the local part of e-mail address-like user names are used as the MailStore user name. Improved Directory Services Integration: The LDAP Generic synchronization now supports groups. Fixed Directory Services Integration: The MDaemon USERLIST.DAT synchronization does not correctly handle groups containing blanks in their names. Improved Directory Services Integration: The Kerio synchronization now supports domain aliases. Previously, only user aliases were supported. New Management API: The API has been entirely rewritten. Please refer to the Release Notes for details. Improved Full Text Search: After setting attachments to add to the index, MailStore Server now checks if all required document filters are available. Improved Full Text Search: Added compatibility with both Adobe Reader and the Adobe PDF IFilter to improve search in PDF attachments. The internal PDF document filter has been removed. Improved Backup: The internal backup feature now writes a CSV file with directory original locations and a corresponding batch file which is able to restore all files to their original locations. Improved Backup: As an alternative to using VSS, freezing and resuming the archive for snapshot purposes can now be done by using the PAUSE and CONTINUE service control commands offered by the MailStore Server service. Improved Statistics: Significantly faster statistics calculation. Other Dozens of minor improvements and bug fixes. New Official Windows 8.1 support. New Official Internet Explorer 11 support. Improved Software Activation: Improved error handling. Fixed MailStore Web Access: Users are not offered single sign-on when Internet Explorer 11 is used. Note This update makes MailStore Server 8.1.2 compatible with MailStore Client 8.1, 8.1.1 and 8.1.2. Note This update resolves a vulnerability in MailStore Web Access, Mobile Web Access and the Outlook Add-in. MailStore recommends that customers install this update even if MailStore's HTTP and HTTPS servers are not reachable via the internet. Improved Directory Services: MailStore can now automatically delete users in MailStore while synchronizing. User archives are never automatically deleted. Improved It is now possible to use regular expressions in the folder include and exclude lists, making the folder selection much more flexible. Simply prepend the regex to include or exclude with || (case-sensitive) or |i| (case-insensitive). Improved The MailStore Server service now registers for the Pre-Shutdown control in Windows Server 2008 / Vista and higher, giving MailStore enough time to correctly close large archives. On older versions, the Shutdown control is used (timeout here at least 10 minutes). Improved Renaming a user archive is now performed much faster in most scenarios. This is done by simply re-assigning search indexes instead of rebuilding the source and target user archives. Improved The user database synchronization with IceWarp may timeout for large user databases. As a workaround, it is now possible to specify a timeout for API requests to IceWarp. Fixed When an error occurs when creating a scheduled task, it may not be shown. Instead, the creation dialog re-appears. Improved In addition to the number of messages and the percentage of occupied space, the statistics page now also shows the total size of all messages in a user archive. The computation is based on the original MIME format of the messages. Improved MailStore Web Access now internally uses relative URLs, making it compatible with security software that publishes it under a different URL. Fixed While archiving Outlook 2010 or higher, Outlook may internally modify source messages in an incorrect way under certain circumstances to make conversation threading work. This version of MailStore works around this bug (requires February Cumulative Update for Outlook 2010). New 64-bit Support – MailStore Client now runs natively as a 64-bit process on 64-bit platforms. MailStore Client continues to support 32-bit platforms as well. Improved Both MailStore Web Access and the Outlook Add-in now allow the message list to be sorted by date, sender/recipient, or subject. Improved IMAP Server: New IMAP UID mapping database improves compatibility with Microsoft Outlook. The UID error dialog which appears in Outlook under certain circumstances should no longer appear after updating to this version. Fixed Search results may incorrectly display sent messages as received. Rebuild search indexes with this version if you encounter this error. Improved The management API command "SyncUsersWithDirectoryServices" now has a new optional argument "dryRun"
New 64-bit Support – The MailStore Server Windows service now runs natively as a 64 bit process on 64 bit platforms. MailStore Server continues to support 32-bit platforms as well. New Mobile Web Access – A new web access for mobile devices replaces the old iPhone client and supports a much broader range of devices, for example BlackBerry, Google Android, Windows Phone, iPhone, iPod touch and iPad. New The new "archive stores" replace the "file groups" known from earlier MailStore Server versions. Conversion is done quickly and automatically. Archive stores can handle much larger folder structures than the file groups from MailStore Server 6, making them much better suitable for larger installations. New Microsoft SQL Server Support – MailStore Server can store metadata and (if wished) contents in a Microsoft SQL Server database. We support SQL Server 2005, 2008 and 2012. New PostgreSQL Support – MailStore Server can store metadata and (if wished) contents in a PostgreSQL opensource database. New Multithreaded Multi Mailbox Archiving – Multi-mailbox archiving can now be spread over multiple threads (e.g. 5 or 25), making it much faster and more interesting for larger companies. New First-class support for IceWarp Email Server – Multi-mailbox archiving, multidrop (Exchange Journal-like) archiving, synchronization of the user database including groups support. New First-class support for Kerio Connect E-mail Server – Multi-mailbox archiving, multidrop (Exchange Journal-like) archiving, synchronization of the user database including groups support. New Generic Multi-Mailbox Archiving – For all other e-mail servers. Based on SASL authentication (RFC 4422). New API (Application Programming Interface) – Provides a complete set of commands for managing archive stores and users. The API can be accessed via HTTPS (JSON and XML formats). New VSS Writer – MailStore Server now includes a VSS writer which makes backup easier and faster in some scenarios, and dramatically reduces downtime during backup to a few seconds. New MailStore Server Startup Script – You can now provide a startup script (batch file) to make it much easier to use MailStore Server together with Network Attached Storage (NAS). Improved Better Microsoft Exchange Web Services (EWS) Support – Much better error handling. Client throttling support (avoiding "EWS 500" and "ErrorServerBusy" errors). Improved Users and user archives can now be renamed. Improved Emails and folders can now be moved between user archives. Improved It is now possible to set privileges for multiple users in one step. Drag&Drop support for e-mails. Improved Archive stores now have names which are independent from the directory they are stored in. Improved Archive stores are now independent from the master database. They can now easily be detached and reattached on a different server. Improved Archive stores can now be temporarily disabled rather than having to be detached. Improved Archive stores can now place their metadata, contents and search index parts in different directories on separate volumes. Note This server version accepts client connections from MailStore Client 6.0 to 6.0.8. Fixed Due to recent changes in Microsoft Office 365, some e-mail accounts cannot be accessed by MailStore Server. Note This server version accepts client connections from MailStore Client 6.0 to 6.0.7. Note This server version accepts client connections from MailStore Client 6.0, 6.0.1, 6.0.2, 6.0.3, 6.0.4, 6.0.5 and 6.0.6. Note This server version accepts client connections from MailStore Client 6.0, 6.0.1, 6.0.2, 6.0.3, 6.0.4 and 6.0.5. Note This server version accepts client connections from MailStore Client 6.0, 6.0.1, 6.0.2, 6.0.3 and 6.0.4. However, we recommend to upgrade all MailStore Client and all MailStore Outlook Add-in installations to version 6.0.4. Fixed It is not possible to specify a custom date range on the page "Last Results"
New New User Interface: Now much cleaner, sleek and modern. New New Administrator Dashboard: Shows relevant information such as server OS information, disk usage, errors, warnings, archive statistics, compliance information, current activity and license information. New New Compliance Features: Retention Policies. Legal Hold. Auditing. Auditor Access. E-mail Preview Barrier for Administrators. New New MDaemon Messaging Server Support: First class support for one of the most popular email servers in the world. New New Email Archiving and Export UI: Run multiple profiles at the same time in the background without having to start separate MailStore Client instances. View information and statistics about the last executions. New New File Group Format: Upgrade to this new format and gain dramatically higher performance and scalability. Automatically create new file groups based on interval (yearly, quarterly or monthly) or on thresholds (number of messages, file group size in GB) directly from the storage locations UI. New New Directory Services Support: Synchronize with Active Directory, MDaemon or various LDAP servers such as OpenLDAP using a clear and consistent UI. Active Directory support has been completely rewritten to be able to support even complex setups. New New MailStore Server Service Configuration: Replaces the Base Configuration tool of previous MailStore Server versions. Specify separate X.509 certificates for the various services such as HTTPS and IMAP-SSL. Import certificates from files or create new self-signed certificates. New built-in debug log viewer. Improved automatic Windows Firewall configuration now also opens the MailStore Web Access ports. Improved Hundreds of minor improvements and bug fixes. New MailStore Server now comes with an IMAP server which enables users to access their archives using most e-mail clients and mobile devices (read-only access). The IMAP server can be enabled in MailStore Server Base Configuration. Fixed When archiving large Exchange Server mailbox folders, an error message may be shown indicating that the server is busy ("ErrorServerBusy"). Fixed When trying to archive Microsoft Exchange Server 2010 Service Pack 1, HTTP error code 302 is displayed. Fixed After upgrading to Microsoft Outlook 2010, MailStore may show that Microsoft Outlook is not installed. Fixed Under certain circumstances, the Outlook add-in does not find the temporary directory and displays incomprehensible error messages. Fixed After exporting to Outlook PST files that didn't exist before, the PST files' display name in Outlook may contain random characters. Improved Sent messages archived via IMAP are now displayed correctly in e-mail lists (recipient instead of sender). This requires setting the 'Sent Items' folder in the IMAP archiving profile. Improved This version comes with a workaround for a bug in Exchange Server 2007 which, under certain circumstances, might cause problems when batch-archiving Exchange mailboxes. New Email preview: New features such as "Find in e-mail"
Fixed Outlook 2007 Service Pack 2 only: Direct PST archiving may not work due to a bug in Outlook. This MailStore update comes with a workaround. Installation of the Microsoft hotfix http://support.microsoft.com/default.aspx?scid=kb;en-us;968858 is recommended anyway. New Storage on network shares. This is an experimental feature - please contact MailStore Support. New IMAP batch archiving via CSV file. This is an experimental feature - please contact MailStore Support. Fixed Active Directory sync may synchronize SMTP email addresses in the incorrect order. This may lead to authorization problems when archiving multiple mailboxes. Note This is a bugfix release. It contains no additional features. Please install it only if you are a new user or if you are having problems with version 3.0. Fixed Exchange archiving via HTTP(S): Error message "Invalid AllXsd value"
New Archiving: Table View. Administrative view of the profiles of all users. New Backup and Export: Table View. Administrative view of the profiles of all users. Improved Scheduled Task: Automatic default file name for log files. View all local protocols. Improved Backups created with version 3 can be restored by simply copying back via Windows Explorer. Improved IMAP, HTTP, POP3 and SMTP: Timeouts can now be specified when used together with slow mail servers. Improved Client: If started on the server machine, Client checks for server startup problems and displays them. Improved Exchange: Journal archiving is now possible even when envelope journaling is not enabled and/or cannot be enabled. Improved Fast soft-delete is performed when deleting emails. Actual deletion is performed when compacting file groups. Miscellaneous Hundereds of small improvements and bugfixes. Note This is a bugfix release. It contains no additional features. Please install it only if you are a new customer or if you are having problems with version 2.6. Fixed MailStoreCmd.exe writes "Session not found" instead of "Logon failed"
Note This release solves all known issues with version 2.5.1. Improved Email List/Search Result: Sent emails are now marked labeled with "To:"
Fixed Open in Outlook: Terminating after showing "The digital ID can not be found"
Improved Automatic debug log of import and export processes. Display via report window. Fixed Extended search for email size may not work. If the problem persists, rebuild the index via Admin Tools -> Index Options. Note Many features originally planned for version 2.0 were already included in 1.6.1 and 1.6.2 versions. See below. Improved Completely removed maximum users restriction. Max-Users limitation in the license file is ignored. Improved Drag&Drop of a PST onto the import profile list creates a new Outlook import profile with this file. Additionally, a new MAPI profile is created. New Microsoft Exchange Mailbox Import now supports HTTP/HTTPS (WebDAV). Solves problems that may occur by using IMAP. Changed Exchange Import/Export: Combined domain, user name and password in one edit field.